Summer is winding down here in the South, even if Canada hasn’t gotten the word to start sending down the cold fronts that give us a break from the sweltering heat. Here and there, trees are already in a state of confusion about what they are supposed to be doing, some holding steadfastly to green while the sweet gum in the front yard is already putting out some yellow leaves. My maple tree even has three orange leaves in the top while the heat oppresses on. Being in the off-year for beach trips with my large extended family, we didn’t go on any major vacations for the summer but instead, we took a lot of “Daycations”, a series of weekend trips to places within easy driving distance of home. A typical vacation can cost anywhere from several hundred (cheap) to several thousand (expensive) dollars depending on your budget and where you have in mind and how you want to get there. Gas prices being what they are has also redefined the model of a vacation as well. Beach trip notwithstanding, my work schedule and job demands did not permit me to go on a true vacation this summer but despite that, we have had fun discovering and rediscovering some cool places to go that are within easy driving distance, budget friendly and can be enjoyed in a day’s time. More than that, its been fun discovering places in my own backyard, Georgia, and I wanted to share a few of them with my readers. The Monastery in Conyers is a place I had not visited since 1980 and when I mentioned it to my family, they thought it might make a nice day trip. I felt sure the place had not changed much in the intervening decades but I was wrong-a lot had changed, yet a lot had stayed the same. Many people may not have ever thought about or realized that a monastic order of the Catholic church resided on some beautiful farmland near the growing city of Conyers but for nearly seventy years now, the Monastery has been a place of spiritual discovery, quiet and thoughtful meditation for a number of Trappist monks and those elements have also attracted visitors who want to experience some of that. 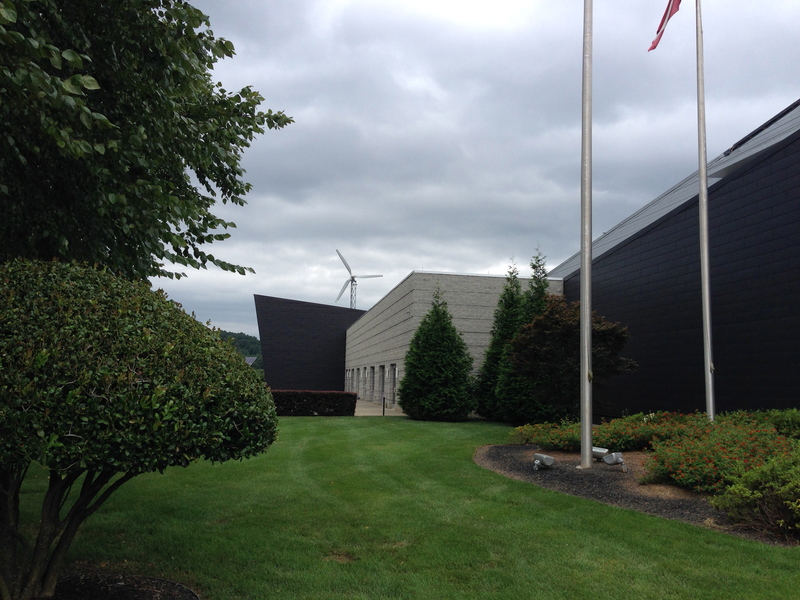 A short 45 minute drive brought us to the entrance of the complex, which sprawls over some 2,000 acres of both natural and well-tended land. The last time I had visited, they had a small store, a courtyard and the sprawling monastery house as well as the church building; this time, I discovered that a modern visitors center had been added with a large gift store, bonsai gardens, a gardening store and a walking path that leads from this complex to the aforementioned Monastery house and church. The Monastery of the Holy Spirit is the home to nearly 40 Trappist Monks who have chosen to live a cloistered life of work, meditation, prayer and contemplation away from the hectic world that exists just beyond their borders. The entire facility is constructed of beautifully complex, yet simple architectural styles cast in concrete that was built by the monks themselves over many years. 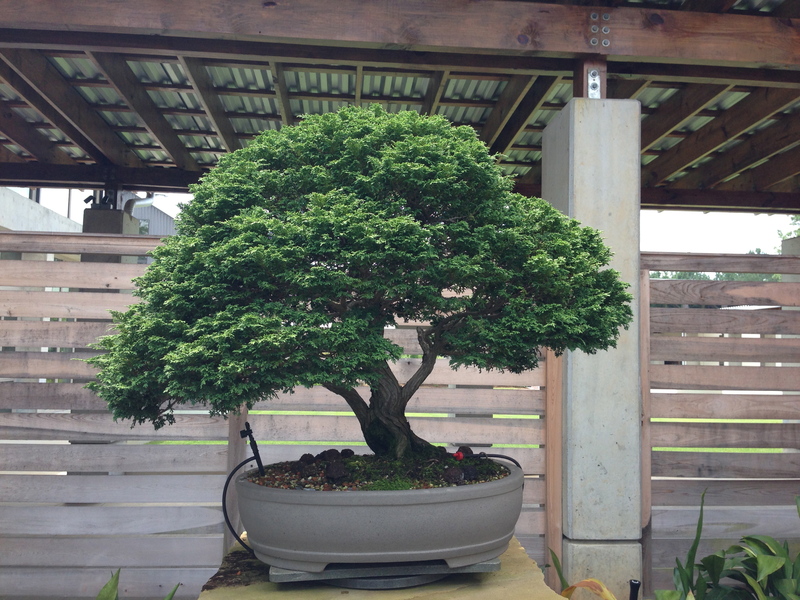 The bonsai tree garden was a must-see place with many varieties of of little trees carefully sculpted into works of art over many years. What appeared to be towering old oaks and maples were in fact no taller than a foot or two tall. If you want to buy a bonsai tree of your own, the garden store has some for sale although not quite the masterpieces that make up the tree garden. They also have classes you can sign up for to learn the art of bonsai sculpting if you have the knack and the patience for it. Surrounding this garden is the Monastic Visitor’s Center which consists of a modern building housing displays that connects to The Historic Barn, an old red brick barn that was the original home of the Monastery before the construction of the current one. 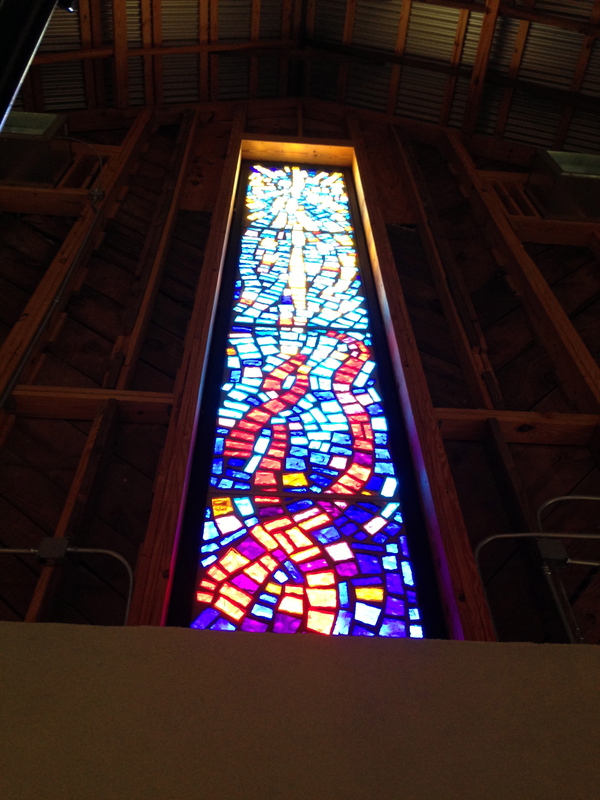 Touring this history center gives you an idea of the spartan, simple life of the Trappists who have made this beautiful place, a life apart from the distractions of things most of us surround ourselves with. A trip to the Monastery would not be complete with visiting the magnificent Norman Gothic style church on the grounds. Considered by many to be “Georgia’s Most Remarkable Concrete Building” the Abbey Church will certainly lift you spiritually from the moment you walk through the front doors. The inner sanctuary is designed to make the best use of light which transforms the interior to one awash in a sea of color and light. The building style emphasizes “a vertical reach upwards that suggests an aspiration to Heaven” in the words of the monks. Despite the sweltering heat outside and the lack of air conditioning inside the church, the concrete building is remarkably comfortable as it is comforting. One truly feels a spiritualness in this place of calm, peaceful quiet and upon exiting the building, you are treated to a truly beautiful vista of an immense grassy lawn shaded by giant old trees to take you back into the natural beauty of the place. Picnicking couples could be seen enjoying a tasty lunch in the shade of those trees, just another way to slow down and enjoy the peace and quiet. Our last stop on the way out was the gift store, which contains many beautiful items of Christian significance, some made by the monks themselves, as well as a large selection of books and other items. It did have air conditioning and was a cool respite after the heat outdoors. 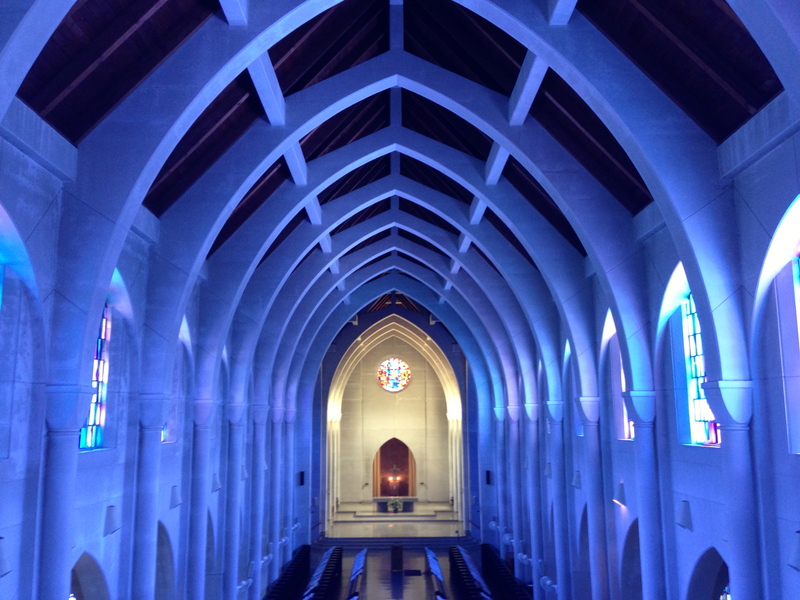 The Monastery in Conyers is definitely a place worth visiting when you have a free day and feel like visiting a place that is different from the norm. It isn’t a fun place to visit but it is an interesting place to visit, one of natural beauty, inspirational places and serenity. Admission is free and you can stay all day if you want to. Donations are accepted in the visitor’s center if you are so inclined. Peaches are ubiquitous in Georgia and most Georgians know where to go to find them. In the small town of Musella, on US Highway 341, west of Macon and southwest of Forsyth, Peaches are King and nowhere is this more in evidence than Dickey’s Peach Farm. The town itself is like stepping back into time as it consists mainly of a few churches, a general store, a cotton gin and the peach packing plant. During peach season, Musella is a happening place as we found out one Sunday recently after a tip from Allen Whitaker about their famous homemade peach ice cream. 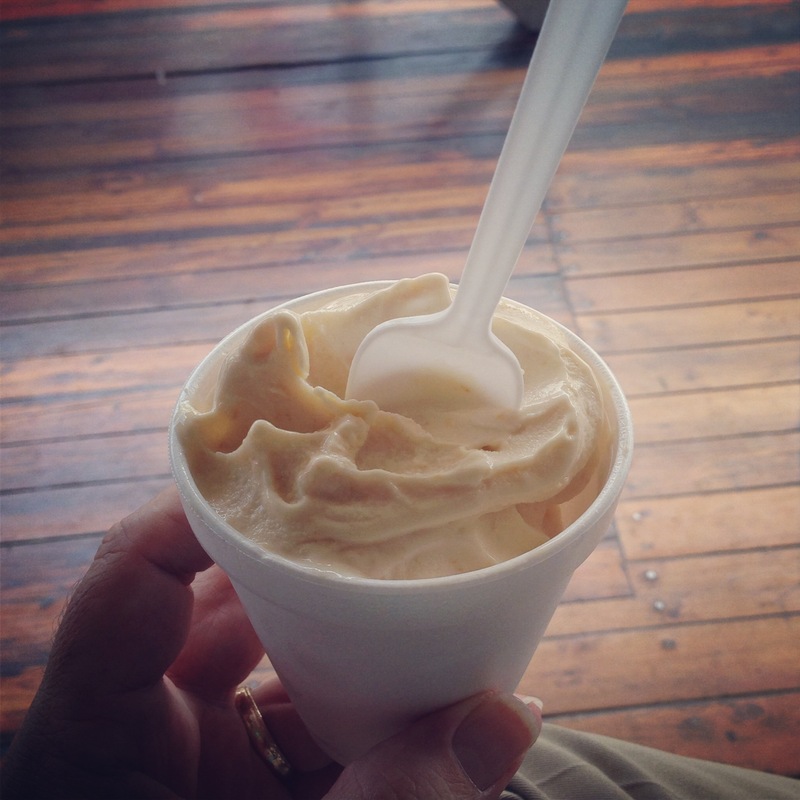 I’ll go just about anywhere for homemade peach ice cream. Its my favorite of all ice creams and once I heard about how good it was I knew I had to try it out. Allen told us he had made a stop going through there on his way somewhere and found it so good, he stopped there again on his way back. We loaded up and headed south on I-75 to Forsyth and then got off to drive through the rural country towards Musella. The drive down was pleasant, the weather was pretty for a change (we’ve had a LOT of rain this summer, more than I can ever remember us having) and the landscape was typical of our state once civilization has been left behind. After a 50 minute drive, we found Musella, mainly by the signs advertising Dickey’s and arrived at the large packing plant, which I have to admit did not look like what I expected. A large, long elevated front porch spanned the length of the building and people were seated in rocking chairs all along this porch. There were a lot of people though it wasn’t unpleasantly crowded at all and I soon found out what they were doing on that porch-they were eating peach ice cream! From cups, from cones, both large and small, peach ice cream was in abundance and we soon were seated in the chairs eating some of that wonderful stuff. It was not the best peach ice cream I’ve ever had-members of my own family still hold that title-but it was in the top three and that means it was GOOD and I enjoyed every spoonful. After our treat, we explored the packing plant store which also sells a variety of vegetables and other locally produced goods and then we watched from the porch as old tractors drove by bringing wagons of peaches to the rear of the plant. From our elevated perch, we could watch the business end of the plant where dozens of workers sorted peaches which then went into the machinery. They were cleaned, sorted by size, stickered with the Georgia seal and then distributed by the machinery into various bins where workers packed about 35 pounds of peaches into each box, sealed it and sent it down the line to be loaded onto the trucks. It was a fascinating process to see. 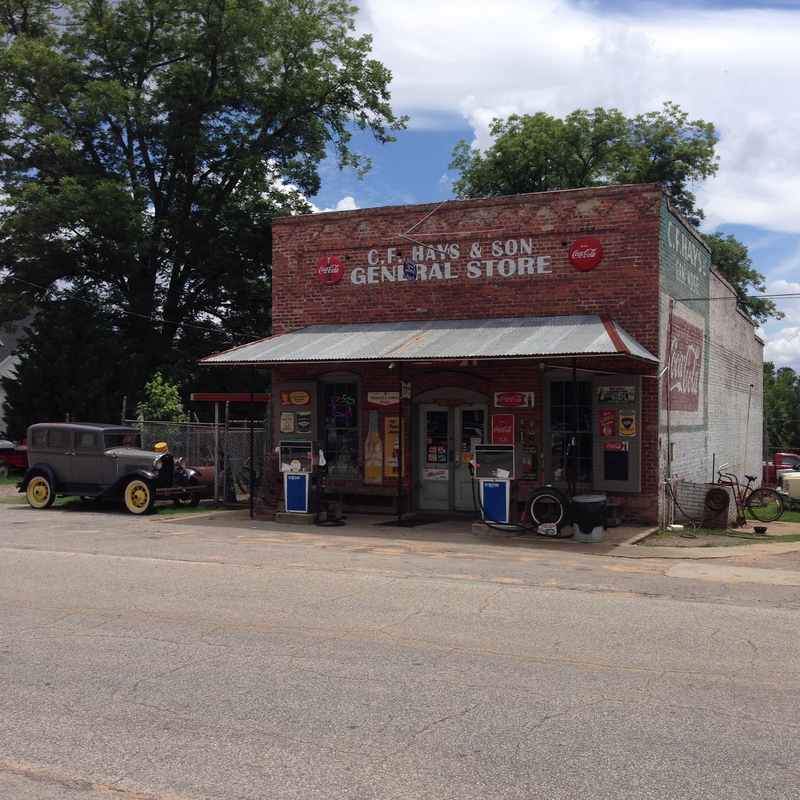 Across the street from the packing plant is a General Store. A real General Store. Think Ike and Corabeth Godsey of the Walton’s type of General Store. Old gas pumps just outside the front door. Counters inside stuffed with all kinds of interesting paraphernalia from all over everywhere. Ice cold Coca Cola and Pepsi products and the detritus collected over many decades, a collection that would keep Ebay enthusiasts on the edge of their seats. A sign inside reads “This is a real General Store. This is not a Cracker Barrel”. Well said and accurately described. We could have just stepped back into the 1940’s and spent a good deal of time wandering around and looking at stuff, some of which has not been produced in a half century. After our visit to Musella, we took the old US 341 highway north to Barnesville, enjoying the sights and vistas of a road that once was a major transportation artery linking the northern part of the state with the southern part. We even passed by an old roadside motel that probably once served patrons heading south to the beaches of Jekyll and St. Simons, now abandoned and empty but still serving as a reminder of the days before the interstate became the preferred mode of travel. A trip to Musella is worth a Sunday afternoon and the peace ice cream is manna from heaven on a hot summer day, worth the price for every single, freezing bite of it. The Tellus Science Museum was a place I had heard about recently, a large museum dedicated to the pursuit of science in many different forms. 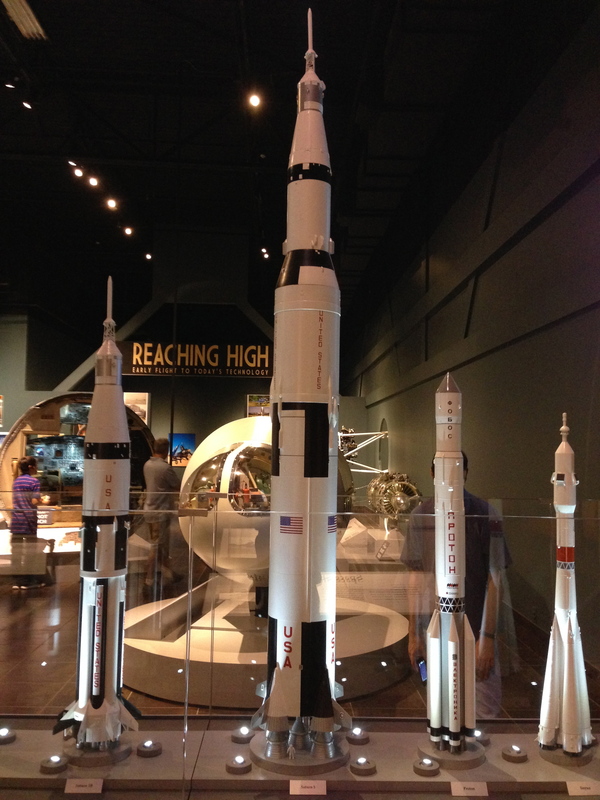 A drive about an hour north of downtown Atlanta, the museum is relatively new and sits right alongside interstate 75, making it a very convenient place for roadside travelers to find. We decided to travel to the museum on one of those rare summer days when the temperature was in the low 60s. I can tell you that any day of the summer that sees highs in the 60s is a phenomenon in Georgia but that was the case as we drove the approximate 90 mile distance. The Tellus was worth the drive and the cost of admission. Dinosaur fossils? Check. A planetarium? Check. Gift store full of stuff you don’t need but have to have? Absolutely. Cool exhibits? Several, including an exhibit on the history of transportation and one on the geology of Georgia. We easily spent three hours at the museum without a moment’s boredom. The transportation exhibit was fascinating to an automotive buff such as myself. 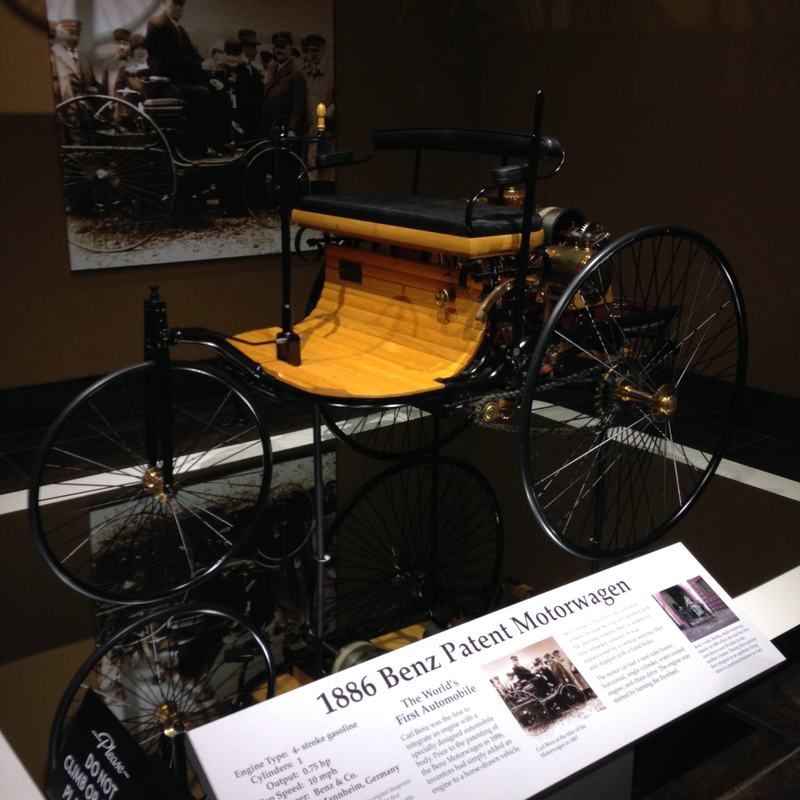 Beginning with the earliest form of automobile, an 1886 Benz Motorwagen (the forerunner of today’s Mercedes Benz), it included antique bicycles, early automobiles and more. It then transitioned to the space age where a model of Sputnik soared overhead, progressed through the Apollo era spacecraft and ended up with today’s space shuttle in model form. Interactive displays abounded, including a full scale model of Orville and Wilbur Wright’s first successful airplane flown at Kitty Hawk. The Mineral Exhibit featured several hundred examples of indigenous geological minerals and rocks from all over Georgia, including beautiful amethyst geodes that would take your breath away to see how beautiful they are. Early mining equipment on display included a 1912 Hardinge Mill and there was even an exhibit of a kitchen that showed the minerals that everyday household items are made from. The planetarium was large and modern and utilized one of the most state-of-the-art digital planetarium projectors available today. Although I enjoyed the planetarium, I have to admit that I still prefer the old school planetarium projectors such as the Zeiss Mark V projector used at Fernbank science center in Atlanta. You just can’t beat the old Mark V when it comes to the clarity of projecting the stars of our galaxy. Despite that, the modern projectors can do things that the old ones can’t do and are much more interactive if you have children with you. Speaking of that, if your children don’t like the dark you may want to leave them outside of the planetarium. Sound travels quite well when sitting under a dome! The Telus Museum is certainly something that the people of Georgia can be proud of. It is large, modern, and full of interesting, interactive things for families to do and see. It is definitely somewhere we will return to in the near future. Vacations don’t have to be long, expensive, or time-consuming. Just in Central and North Georgia alone, there is much that you can do within easy driving distance of the Atlanta area and the drive can be enjoyable as well when you don’t have to spend the whole day in the car. We will definitely be setting out to explore and find other interesting places to see that are close to home, fun to do, and educational as well. Thank you Paul… We sometimes tend to forget how culturally diverse our state is and all it has to offer. I have a few more places on my list I intend to visit in the near future!